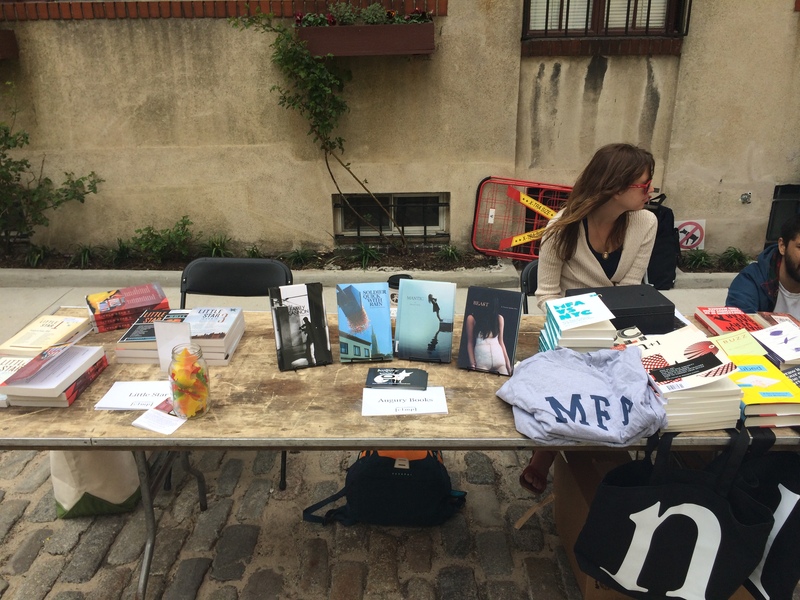 On Friday we went to the PEN World Voices Festival Book Fair in Washington Mews, the secret little cobblestoned street just north of Washington Square Park. CLMP arranged a great group of publishers, and we were particularly happy to share a table and make new friends with Little Star Journal and n+1. 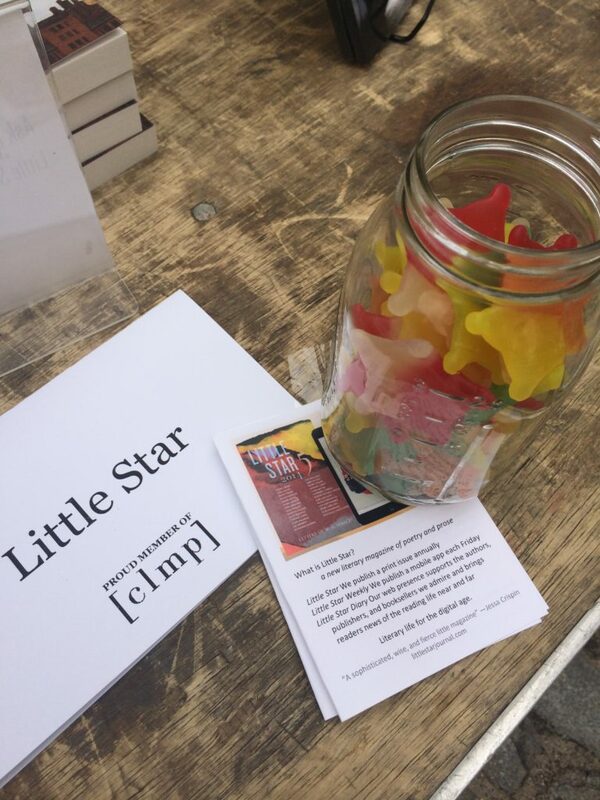 Little Star even had gummy star candy! Maybe next year we’ll make gummy foxes to bring. 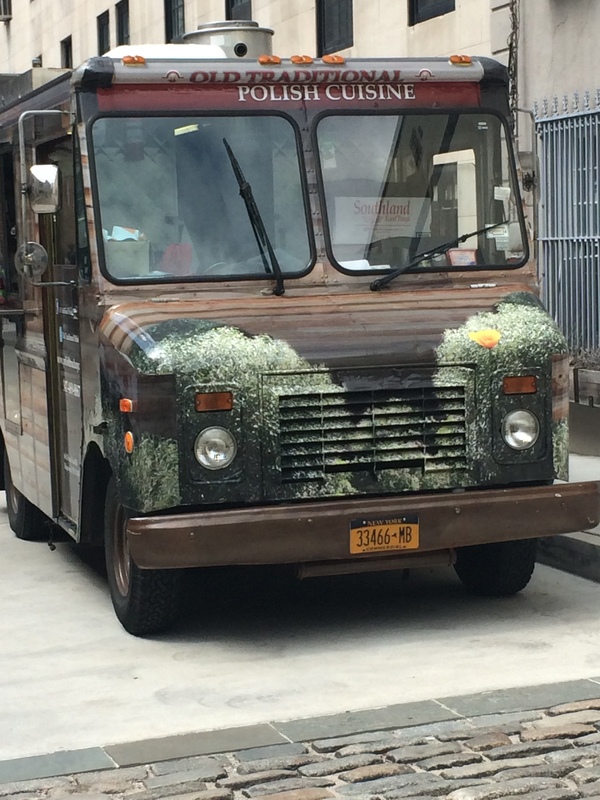 And there was a food truck with pirogies. Poetry, prose, and pirogies: what more could you want? It was a wonderful way to spend an afternoon and let people know about our reading period, currently open. Please send us your manuscripts! This entry was posted in Art, Augury Books, Creative Writing, Reading Period and tagged PEN World Voices Festival Book Fair, Promotion, reading period, Submissions. Bookmark the permalink.